Tim was one of many international comic artists to take part in the charity event that became the comic book project: "Feed America's Children - Featuring Major Impact". Tim was originally approached by Jon Haward in 2004 by Jon Haward asking if he would like to become involved in the charity project. Mel Smith (not the UK comedian - states Tim) then asked him to draw one of the pages from the comic book. That page was number 37 in the 46 page storyline and was Tim's return to superheroes. 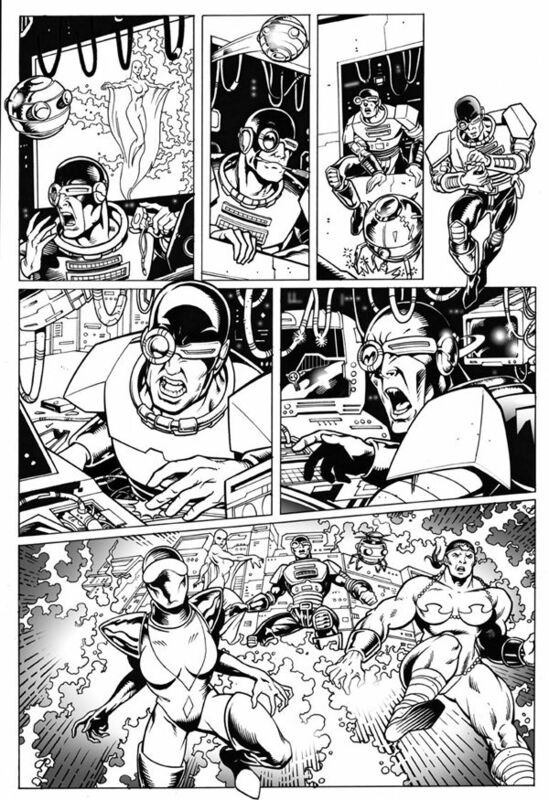 Tim then appproached Richard Elson - whom he had worked with at 2000AD where he coloured "Shadows" Richard's first comic book work for the UK company, in the late eighties - asking him (due to deadline commitments with the setting up of Wizards Keep) to ink the page. 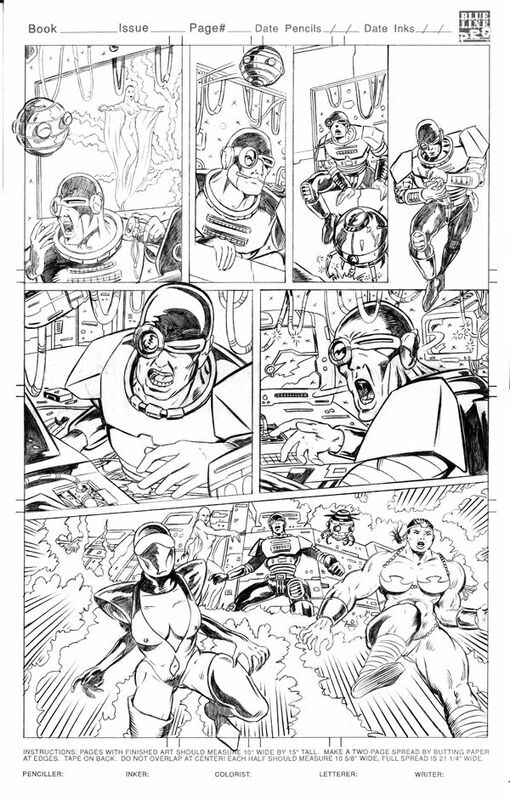 Richard did a superb job of inking the page, also adding some greyscale SFX into the mix. The original page was sold at auction as part of the charity fund raising. If you own the page Tim says to drop him a line.